Founded in 2010, Saatva was one of the very first mattress retailers to take its business online. Of course, many bed-in-a-box brands would follow, but Saatva swiftly made a name for itself as one of the most reliable brands in the industry. In fact, many of you may already be familiar with our reviews of the Saatva mattress… but for this review, we’re going to burrow into Saatva’s bedding. So, let’s dive into Saatva’s Lofton Organic Sheet Set, shall we? I’m going to show you what they’re made of, how they feel, and for whom these sheets might be especially beneficial. WHAT ARE SAATVA SHEETS MADE OF? 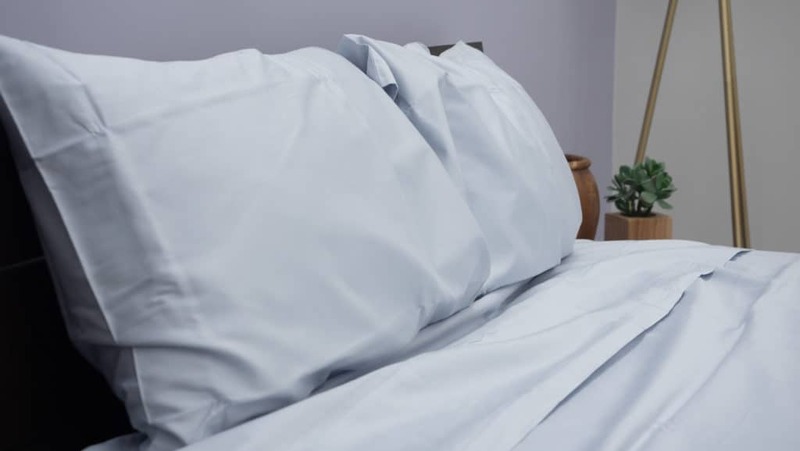 These sheets are woven from 100% long-staple organic cotton into a 300 thread count, which is intended to offer a feel that’s soft, durable, and breathable. They are sateen woven which means they are going to be a bit more silky in feel, and less crisp. Additionally, they offer a light, lustrous sheen rather than a solid, matte finish. Though many of us have been taught to believe that a higher thread count indicates better quality, that is not actually the case! That’s not to say that thread count is negligible, but there is much more to consider when you’re shopping for the perfect bedding. For example, you’re going to want to pay attention to the specific fabric being used, the type of weave, and the length of the fibers themselves. 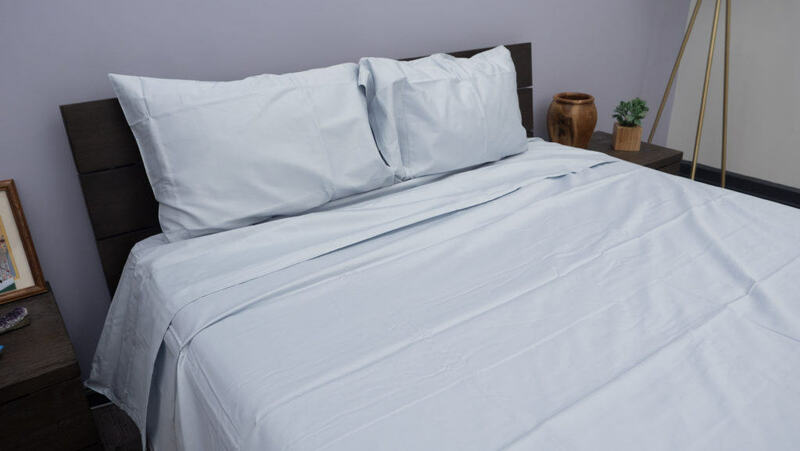 Here’s a tip: the longer the fibers, the more soft and durable the sheets will be. The cotton used in these sheets is a product of Fair Trade manufacturing, and the folks at Saatva tout that it’s “organic all the way.” This means that the workers who harvest this cotton must be paid a living wage, and the sheets themselves are GOTS certified. So, if eco-friendly, ethically sourced bedding is a priority for you, you might be particularly compatible with Saatva’s sheets. 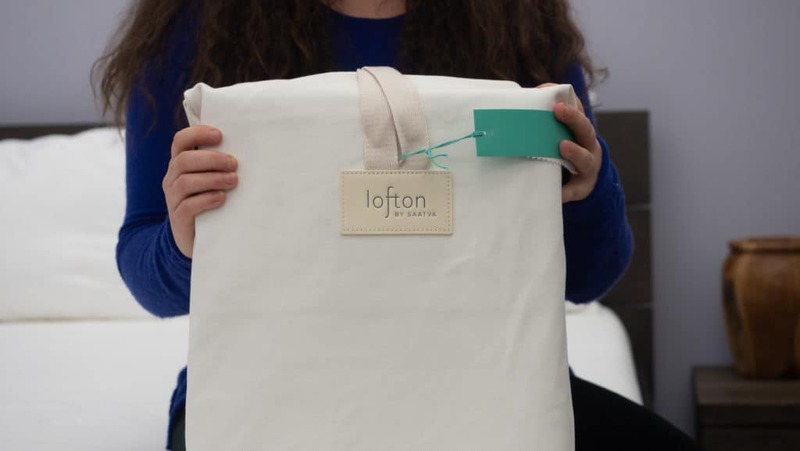 Each Lofton sheet set comes complete with one top sheet, two pillowcases, and a fitted sheet capable of accomodating mattresses up to 15 inches deep. I’m testing the set in white, here, but I do have these sheets in grey on my bed at home right now. Between the two colors, I prefer the grey because the sheen of the sateen weave looks more pronounced. 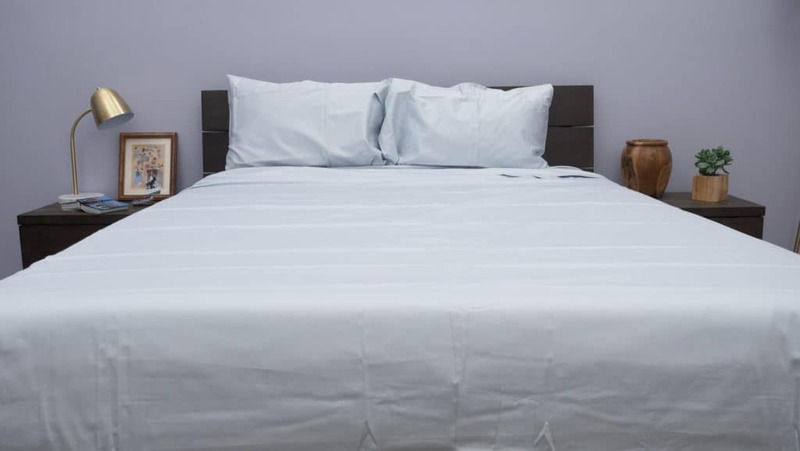 So, we know that these sheets are made from strong, long-staple cotton and that they look soft and silky-smooth, but let’s take a closer examination of how they feel! HOW DO SAATVA SHEETS FEEL? These sheets come out of the box feeling super soft and breathable. I was surprised, at first, at how breathable they felt because I’m used to sateen woven sheets feeling a bit thicker and less cool. But I was pleased to note that these feel pretty light and airy. True to a sateen weave, though, these sheets feel silky and buttery smooth. They don’t feel crisp, like you often feel with percale woven sheets. Instead, they have a billowy, satin-like quality that I found to be very comforting. 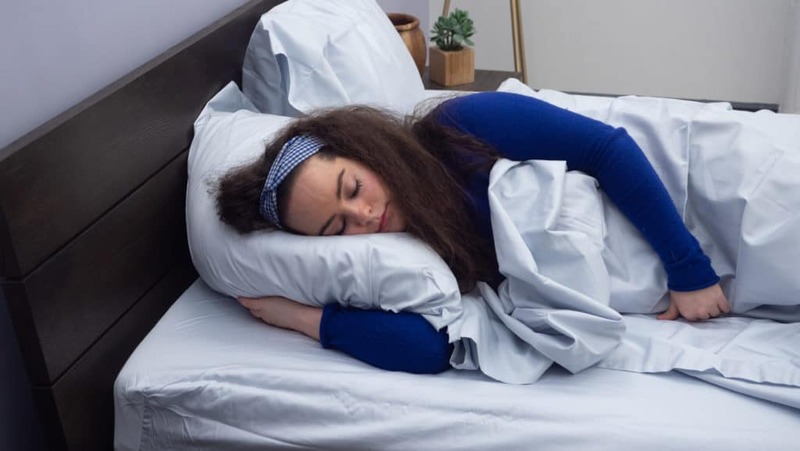 The sheen and silky nature of these sheets also contributes to a body-conforming drape that many sleepers look for when shopping for sateen sheets. Unlike with percale, sateen sheets often offer an elegant drape over your body that sort of outlines your shape — and I would say these do a good job with that. I’ll also say that these sheets seem to get softer after each wash (not in a worn-down kind of way, but closer to a garment washed feel). Speaking of washing… these sheets will wrinkle rather easily if you don’t remove them from the dry cycle as soon as it’s finished. To keep wrinkles at bay, I recommend spreading them out over the mattress when they are still warm from drying. 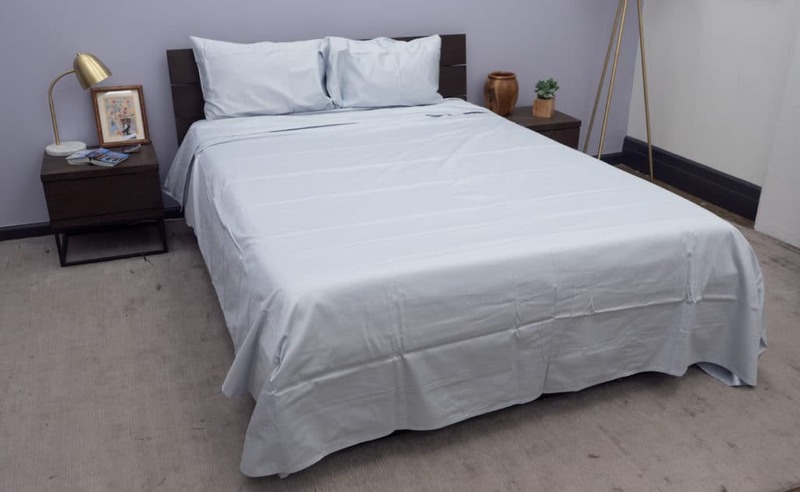 Ultimately, these sheets have a silky-smooth handfeel, but also offer some great airflow that’s going to help keep sleepers cool. Related: In the market for a new mattress? Check out our review of the Saatva mattress! Well, I have to admit that these are the sheets I sleep on at home. So, spoiler alert: I do really like them. However, there are a couple things about these sheets that might not be compatible with every sleeper. 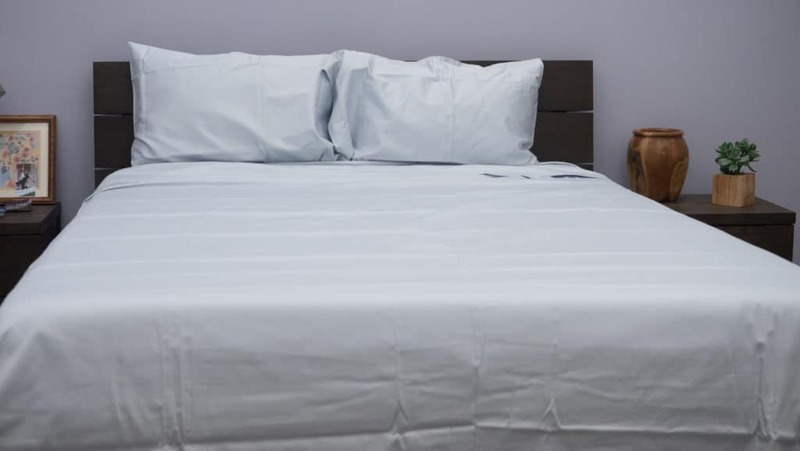 Saatva’s Lofton sheets feel light and breathable, but also silky and smooth. In my experience with sateen woven sheets, it is often the case that breathability is sacrificed for silkiness. Granted, sateen woven sheets are generally heavier in weight and less airy (as compared to percale) — but I found these sheets to offer a nice balance between sateen and percale traits. For example, they do feature a lustrous sheen (as is common with sateen) but also offer some good, cooling airflow. Unlike percale sheets, these are not at all crisp. Instead, they feel silky to the touch, and have a very billowy quality that allows the fabric to drape over my body in an aesthetically pleasing way. That said, I did also find them to be a little more wrinkly than other sateen sheets I’ve tested. The wrinkling doesn’t detract from the comfort, but it’s worth noting that they do wrinkle sort of easily. Something I love about these sheets, though, is the fitted sheet offers nice, deep pockets and a responsive elastic band that tightly hugs my mattress. 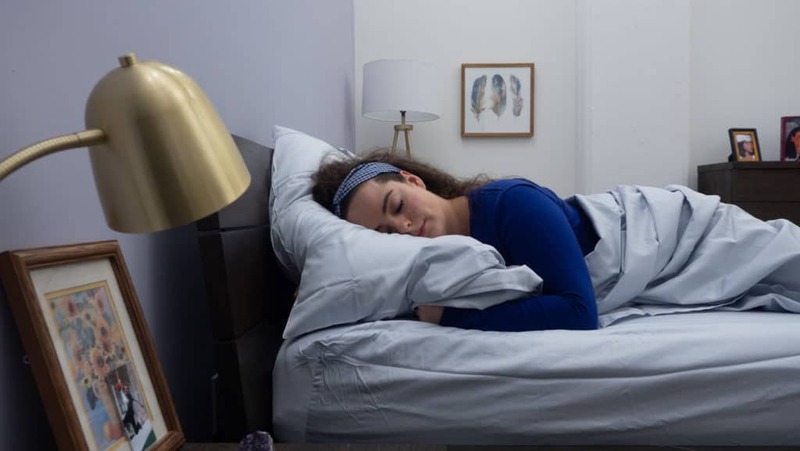 I’m a combo sleeper, and I use just about every inch of my mattress during the course of my 40 winks — so I need to know that the fitted sheet is going to stay snugly put on the mattress no matter how much rolling around I do. I have had some experiences with sateen sheets that are so silky and slippery that they can’t seem to stay on my bed. So, I was (and continue to be) very pleased with how well this fitted sheet performs. I will say, however, that folks looking for that classic sateen personality might be disappointed by this bedding’s blending of sateen and percale traits. They are definitely lighter in weight than what you might expect from sateen, and have a slightly less lustrous sheen as well. They are certainly not matte in appearance, but they are a bit less shiny than some sateen bedding I’ve tested. Personally, I enjoy the lighter weight of these sheets because I’m a hot sleeper who needs help keeping cool. But for folks who enjoy the heavier weight and super shiny nature of sateen, it’s worth noting that these are light, breathable, and subtly lustrous. Ultimately, I think these sheets are a great addition to my collection of bed linens. For me, they are great for year-round use, but I could see them being particularly beneficial in the summertime. I would put these in the category of “bedding essentials” as they are a good example of durable, cotton sheets (which everybody needs, in my opinion) — but their subtle luster and silky-soft feel add a luxurious quality as well. The Verdict: I extend the most enthusiastic recommendation to folks who love a light breathable sheet, but also prefer the silky feel and lustrous sheen of a sateen weave. ARE SAATVA SHEETS WORTH THE MONEY? Silky Smooth — If you’re into a silky-smooth handfeel, these sheets might be right up your alley. Light & Breathable — Unlike some sateen sheets, these offer good breathability and feel lighter in weight. If you love sateen, but need help keeping cool at night, give these a go! Lustrous Sheen — While these sheets aren’t the shiniest sateen sheets on the block, they do offer a very pretty luster and elegant drape. So, if you’re into a silky feel and look, you might be especially compatible with these sheets. Not Warming — Like I said, these are some of the lightest sateen sheets I’ve tested. So, they are going to do a better job of keeping you cool than of warming you up. Not Crisp — Folks who love a crisp set of sheets should probably look elsewhere. These are silky and smooth — not at all crisp. Wrinkly — While sateen sheets are generally more resistant to wrinkling, these do get pretty wrinkly. So, again, you’re going to want to yank them from the dryer as soon as the cycle is finished so the wrinkles don’t have any time to form! Returns — Return your order within 45 days of the delivery date, and you’ll get a full refund.